Previous Posts meeting our last dragon adventure trainer meeting the dragon's gift trainer meeting the trainer for my mostest fave dragon ability one last gnomekindle quest for this year hermey misfit and banner days gnomekindle quest peeps gnomekindle another little break from the routine meeting the instant heal trainer happy birthday, horizons!! since dragon's reach is a handy ability, mourningwood continued the quests he had neglected by taking the next quest bentaras offered. return to bentaras and speak to the trainer. accept the quest and head off to hunt the maple treant saplings. i hunted them in the sanctuary bay area, as i am most familiar with the area. most nasties of the natural resource type (treants, gols, wisps, etc.) 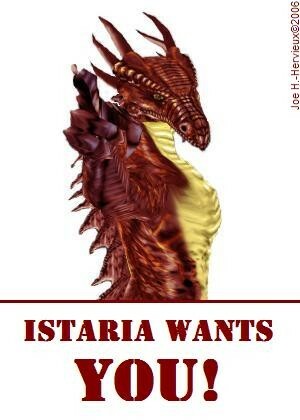 are now linked, so the old instructions of going to feladan to hunt no longer really apply. 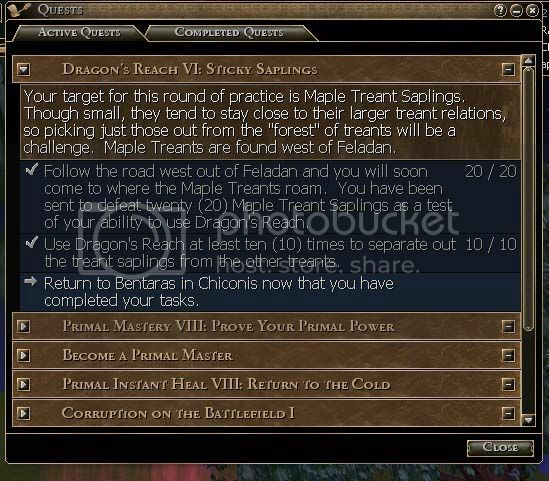 as long as you hunt maple treant saplings only, you will get the required amount, regardless of where you hunt them. and i like to visit sanc bay, as vel singlehandedly rebuilt the public buildings there. i like to sit in the gazebo and look out at the water when i am running from the treants. head back to the trainer and get your reward. don't forget to hotkey it!! be back again soon with one last quest completed and one started. then prepare to meet the biped trainers!! see ya soon.